What started out as a hobby, from a passion for cooking, fitness and trying new dishes has since developed into a full time business. We started in February 2016 and have been building our brand and developing our range since. Freshly Spiced is run by myself (Tom) and my wife Claire. Our focus being high quality, vibrant spices and blends, with simple recipes making for a unique range of recipe kits. 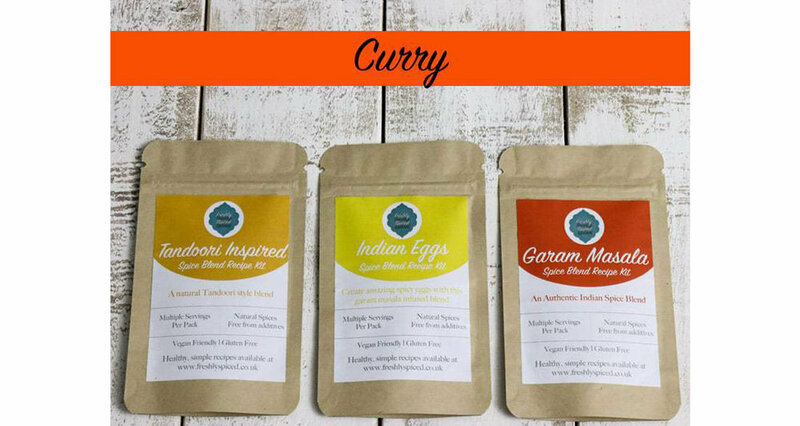 We now have 21 vibrant spice blends with over 45 accompanying recipes online, this has allowed us to branch out in to various farm shops and delis in the UK, supplying 35 at present along with catering sizes for butchers, restaurants and tea companies. All our spices and spice blends are toasted first to enhance the aromas. They are ground in small batches on a regular basis. We offer a really fresh, natural product that is free from additives or preservatives. 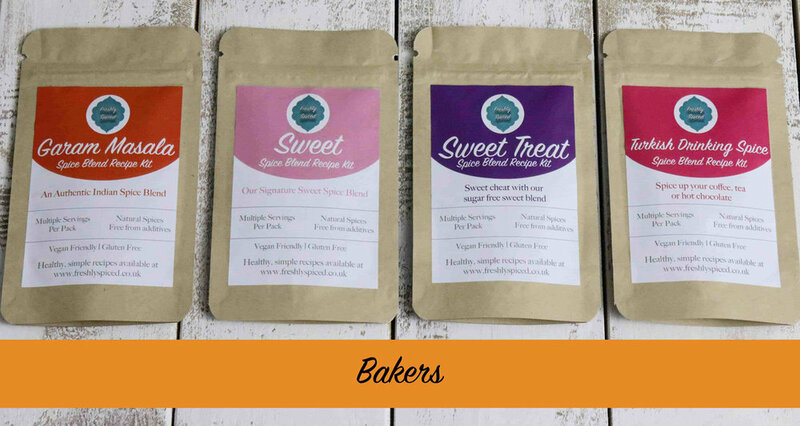 All our blends come with accompanying recipes on our website and also our youtube channel, this is continually growing to offer multiple recipes per blend. Our products are sold in BRC accredited re-sealable pouches to keep light, air and heat away for optimal spice storage. We want our customers to get away from cupboards full of old out of date spices. Our aim if for them to be used within a 3 month window, taking advantage of flavour and health benefits. With a variety of recipes to create cakes, biscuits and even as a coating on homemade popcorn. It adds a totally different take on many well known recipes to spice up your sweet dishes. It has hints of Turkish and Indian inspiration with rose petals, cardamom and allspice berries adding different styles of sweetness. As always our blends are vegan friendly. The Advieh blend create’s a taste of Persian cuisine with warming notes from Cinnamon accompanied with floral Rose Petals creating a versatile spice blend that is unlike others. This is such a versatile blend and can be used in many dishes including rice flavouring, meatballs, kebabs and fish. Offering warm and slightly smokey flavours. This blend makes really tasty fajitas, but also spices up burritos. Order dispatched within one working day, delivery up to three working days. My Salad & Veg Spice Tin is great for anyone who loves all things BBQ. This range offers a variety of recipes to spice up your salads and vegetables. With 4 unique blends and a range of unique recipes online. These all work great on meat or vegetarian alternatives. My Curry Spice Tin is great for anyone who loves curry. You don’t need loads of different spices to make great curries or marinades. With 3 unique blends and a range of unique recipes online. We have recipes for an each curry, egg curry, tandoori, fish kofta and more.